Gary was born in Leeton, and was raised on the family farm at Kikoira, being the youngest son of Errol and Maxie. He attended Ungarie Central School, followed by Yanco Agricultural High School. Returning to the farm in 1984, Gary had a keen interest in sheep breeding on the property, and playing aussie rules, cricket and tennis. In 1987 he moved to Western Australia to work in the mines, and later in a food wholesale businesses. Returning back to the property in 1993, he completed his Wool classing Certificate in 1994, whilst continuing to focus on the stock side of the farm and Wool Classing around the district. In 1996 he purchased a furniture removal business and continued Wool Classing around Temora in his spare time. He started working in the Moses & Son Temora Warehouse in 2001. This progressed to a full time position in 2006, when he sold the Removal Business and took up the Warehouse post in Moses & Son Wagga, formerly Murrumbidgee Wool Brokers. 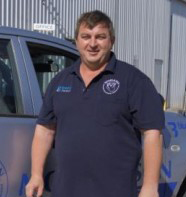 With Moses & Son expanding, Gary moved to Narrandera in 2007 to open the new store as a Wool Technical Officer. His interests are golf, water skiing and football. 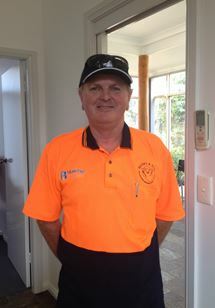 Gary is an active member of the Lions Club of Narrandera and is on the board at the Narrandera Ex-Serviceman’s Club. Shane joined Moses and Son, at our Narrandera store as an all round store-hand in October 2014. Previously, he had 10 years of employment at the Rice Mill in Leeton. In his spare time he enjoys camping and fishing with his wife and two boys. Chris joined the Moses & Son team as a casual in 2011. After a couple of years working elsewhere, Chris returned to the team in 2016 and is now an integral cog in the Narrandera Store’s wheel. In Chris’ spare time he enjoys fishing.